Description - Anthem Plus water resistant laminate by Shaw captures the beauty of white washed oak and northern pine at a fraction of the cost and maintenance. Registered embossing added depth and texture to the floor surface, providing a look that is truly mistakable for natural hardwood floors. Finished with beveled edging, attached underlayment, and constructed in the USA, it doesn't get much better than this. Material – Shaw laminates use less newly harvested wood than conventional hardwoods and feature our exclusive OptiCore—an environmentally friendly laminate flooring core board that's strong, stable and moisture resistant. 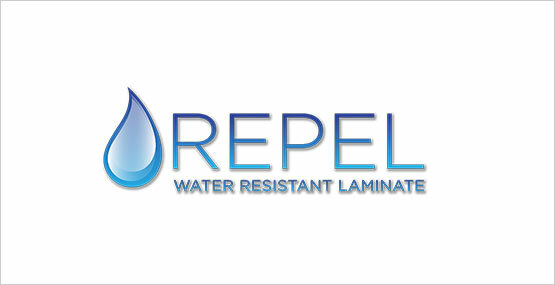 Repel water resistant laminates are designed to stand up to the toughest household conditions, and are scratch, stain, and fade resistant. Plank Size 7" x 48"
Recommended Uses – Anthem Plus water resistant laminate has been successfully installed in spaces where versatility and attractiveness are desired, such as bedrooms, basements, family rooms, hallways, and more. White washed oak and northern pine visuals. Scratch, stain, and fade resistant. Simple to clean and can even be wet mopped. Accidents happen - that's just a fact of life. Whether it's a toddler running with an open cup of milk, a puppy that isn't yet fully potty trained, or an adventurous teenager coming in from playing in the mud, you need a floor that can stand up to life's messes. Shaw's Repel Collection features water resistant technology that is perfect for any busy household. The revolutionary wonder that is Repel can go where other floors can't. Suitable for installation on any level of the home, unlike traditional hardwoods, these laminate floors can be installed in basements. 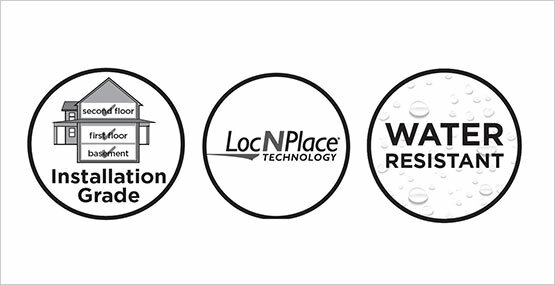 Loc N Place technology provides a tight fitting interlock that won't allow liquids to penetrate through the connection and ruin your floors, making it water resistant from the top down. 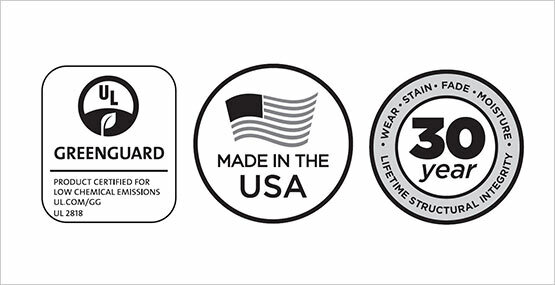 Made in the USA, Repel laminate floors have been Greenguard certified for low chemical emissions, so you can rest assured that your family will be safe on this new flooring. Repel floors are also backed by a 30 year warranty, guaranteed not to wear, stain, or fade, and has a lifetime structural integrity warranty. Your floors will be looking like new for many years to come. The flooring came on time and as expected. It was easy to put together and looks really nice. Great shopping experience. This laminate is water resistant and also affordable. It's a great combination.